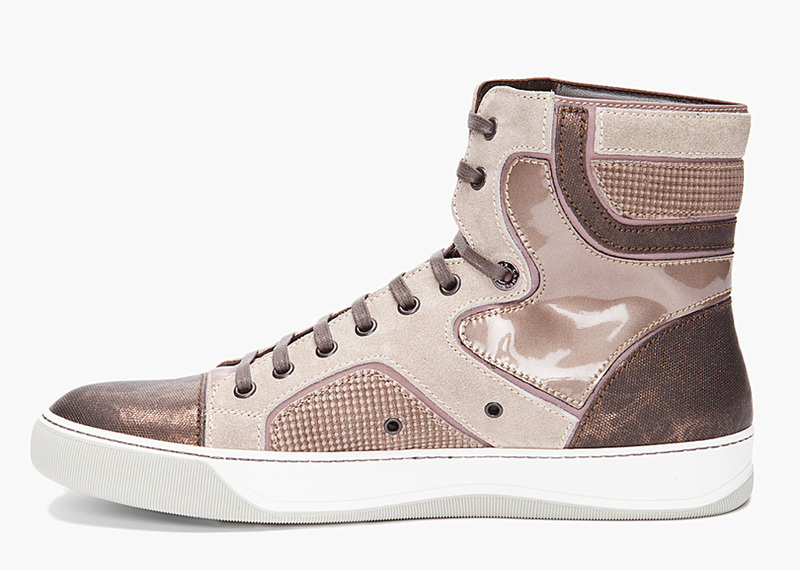 French luxury house Lanvin introduces the latest style for their Fall/Winter 2011 footwear collection. 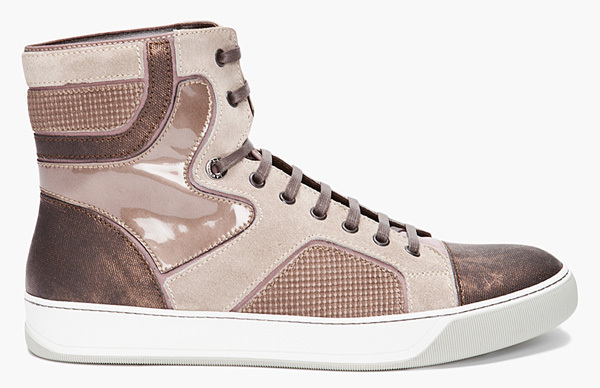 The high-top sneakers come in taupe with grained leather and beige suede paneling. 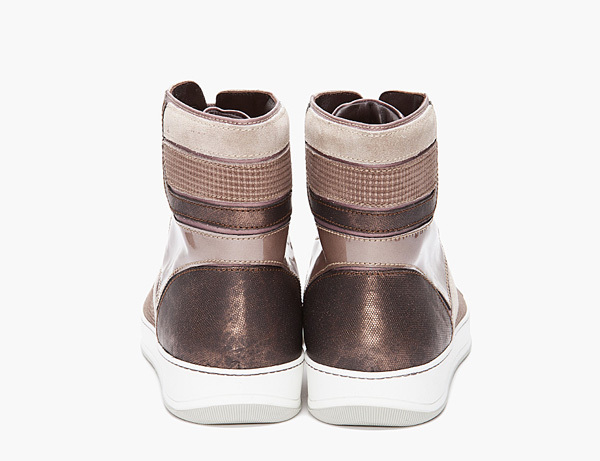 Add to that textured dark bronze caps at the round toe and heel and you get a well designed, and exceptionally priced, shoe. 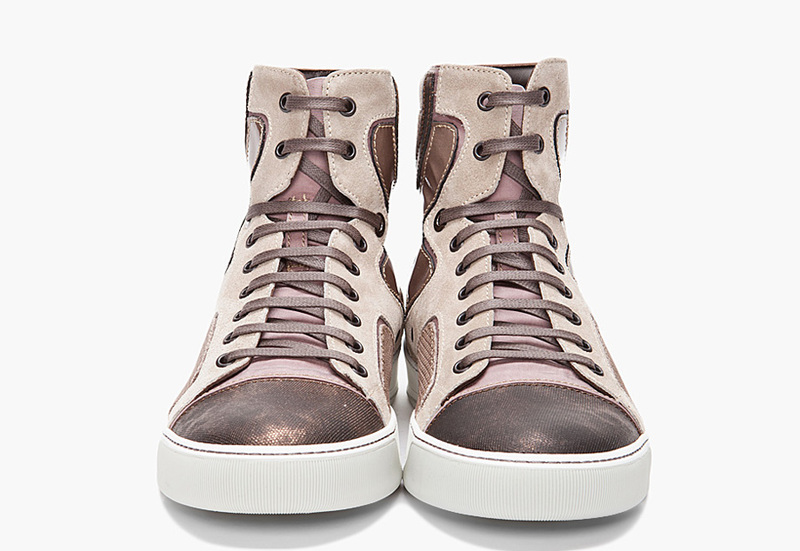 The lace-up closure, gunmetal eyelets and patent leather panels on the ankle are nice details as well. Handmade in Italy from 100% leather, the ultra-luxury sneakers are available now through ssense for under $800. « Get Lost LA: Crosstown Rebels Invade Los Angeles, Free Ticket GIVEAWAY! Hi there may I quote some of the material from this site if I reference you with a link back to your site?